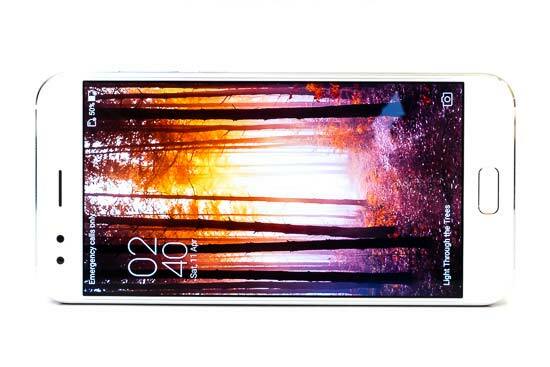 The Asus Zenfone 4 is a flagship smartphone at a mid-range price, with a strong emphasis on photography. Designed to be a smartphone for keen photographers, the Asus Zenfone 4 has a 12-megapixel 1/2.55-inch sensor rear-facing camera with a 25mm f/1.8 lens, 4-axis optical image stabilisation which provides 4 stops of compensation, and Dual Pixel Phase Detection Auto Focus (PDAF) that's as quick as 0.03 seconds. Intriguingly there's also a second 8-megapixel rear-facing camera with a 12mm equivalent lens for a super-wide angle of view. Other standout features include RAW file support, a PRO shooting mode that lets you adjust the key camera settings, a maximum shutter speed of 32 seconds, 48 megapixel Super resolution mode, 4K UHD (3840 by 2160) video recording at 30fps, 120˚ wide-angle video, Slow Motion video, an 8 megapixel front camera, 64Gb built-in storage and a 5.5-inch FHD IPS screen. 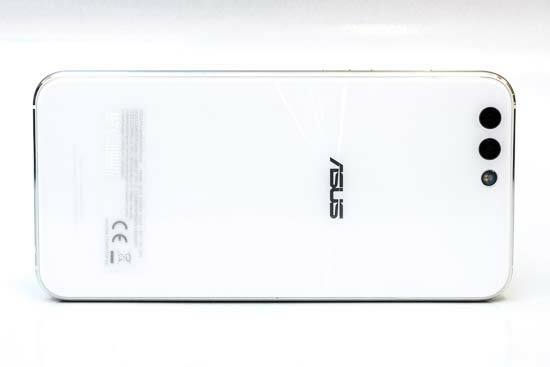 The Asus Zenfone 4 is priced at around £450 in the UK, unlocked and sim free. 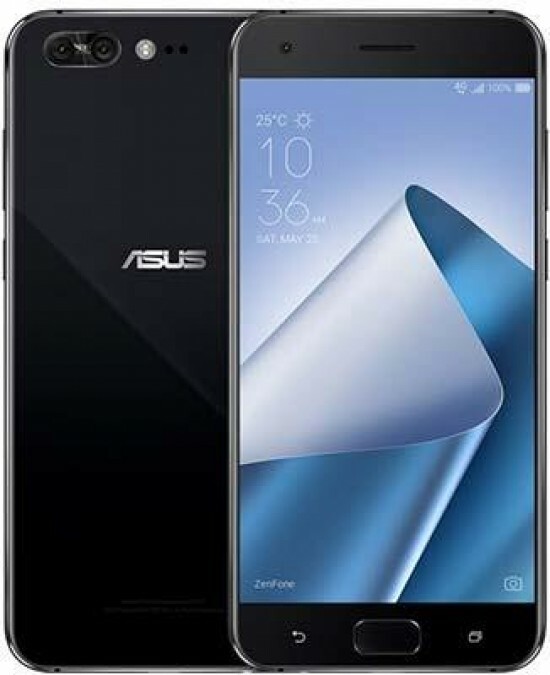 The Zenfone 4 is Asus' answer to the popular OnePlus 5, with a similar size, styling and cost Both devices attempt to deliver a premium experience at a more palatable price-point than the likes of Apple, Samsung et al. For photographers, the Zenfone 4 tries to stand out from the crowd by featuring not one, but two rear-facing cameras, which offer 25mm and 12mm focal lengths respectively. So, at the push of an on-screen icon, you can switch from a fairly wide 25mm angle of view to one that captures a 120-degree view, albeit with a drop in resolution from 12 to 8 megapixels. We haven't tested a smartphone that offers this before, and in practice found it to be very useful in certain situations, although the resulting image does suffer from a lot of barrel distortion that you'll either need to live with or remove in post-processing. 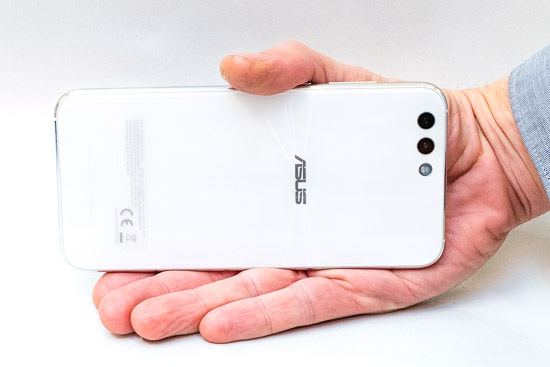 The Asus Zenfone 4 has another ace up its sleeve in the form of very fast auto-focusing, thanks to the on-sensor Dual Pixel Phase Detection system. The quoted AF speed of 0.03 seconds is very quick indeed for a smartphone, and even better, it also works almost as quickly and reliably in less than stellar lighting conditions. On the whole, you'll quickly forget about the Asus Zenfone 4's autofocusing because it's just so quick and reliable. 4-axis optical image stabilisation is another great feature, which provides 4 stops of compensation when hand-holding the device. As the Zenfone 4's ISO range tops out at ISO3200, with image quality starting to suffer at ISO800, it's a really good thing that OIS is onboard, helping to keep the picture sharp in low-light situations where otherwise you'd get blurred images, or ones with lots of noise if you were forced to choose a higher ISO speed. Note that when shooting video, the Zenfone's camera employs 3-axis electronic image stabilization, which sadly isn't on a par with the still camera system. If OIS doesn't cut it, you can always mount the Zenfone 4 on a tripod using an optional grip and take advantage of the maximum shutter speed of 32 seconds, again a feature that few smartphones offer. This allows you take proper long exposure night photographs, such as capturing traffic light trails, whilst locking the ISO at 25 to help keep the noise levels down. Further appealing to more serious photographers is the inclusion of RAW file support in the form of DNG files, allowing you a lot more flexibility in post-processing than shooting just JPG files. There's also a PRO shooting mode which allows you take control of most of the camera's key exposure settings - AF, Shutter Speed, ISO, EV and WB all become available via an intuitive row of icons at the bottom of the camera interface. This is something that we really missed on the Google Pixel 2's native camera interface, and which we found straight-forward to use on the much cheaper Asus Zenfone 4. Naturally for a 2017 device, the Zenfone 4 includes video at 720P, 1080P (60fps) and 4K (30fps) resolution, complete with electronic stabilization. There's also slow-motion, GIF animation and time-lapse modes if you want to get even more creative. The only standout feature that doesn't hit the target (at all) is the rather ambitious 48 megapixel Super resolution mode, which attempts to provide an image 4x larger than the one captured by the main camera. The resulting photos may have more pixels, but they also suffer badly from a lack of clarity and sharpness, so badly that we'd recommend just ignoring this feature altogether.